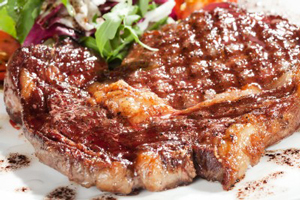 Red meat is extremely acid-forming in the body. If your body tissues have reached a point of chronic pH acidity, this can eventually lead to an ongoing state of inflammation in susceptible areas of your body. Many studies have shown that out-of-control inflammation leads to the myriad of diseases afflicting our society today especially the potential killers like cancer, heart disease and obesity amongst a host of others. A recent National Institutes of Health-AARP study of more than a half-million older Americans concluded that people who ate the most red meat and processed meat over a 10-year-period were likely to die sooner than those who ate smaller amounts. Other studies have confirmed these findings — for example, one that followed more than 72,000 women for 18 years found that those who ate a Western-style diet high in red and processed meats, desserts, refined grains, and French fries had an increased risk of heart disease, cancer, and death from other causes. To be fair and objective about these particular studies is that processed meats have additives such as sodium and nitrates, desserts have extra sugar and frying foods changes their chemical nature detrimentally. Therefore, it’s not just the red meat that does the damage. Other lifestyle and food choices come into play to help create inflammation in the body. Because grilling meat doesn’t require added fat to cook, many people think it’s safe to use their backyard barbecue a few times a week especially because it’s touted as a waistline-friendly cooking method. The bad news? As the drippings melt off and hit the fire below, compounds called heterocyclic amines (HCAs) are created and drift back up into the meat. Research has linked HCAs to cancer. Recent studies have shown that the amount and frequency of red meat consumed determines whether or not you can develop disease from eating this food. For example, a substance in red meat called L-carnitine has been associated with a build-up of fatty deposits in blood vessels, which can lead to heart attacks and strokes. L-carnitine interacts with microbial bacteria living in the gut, where it is converted to another compound (trimethylamine N-oxide or TMAO), which affects the body’s ability to remove fatty deposits from the artery walls. While it’s unclear which gut bacteria are responsible for the interaction, findings suggest meat eaters have more of these bacteria than vegetarians. The researchers say this is a new way in which eating red meat may result in heart disease, separate to the influence of cholesterol or saturated fat in the meat. It may explain why some studies have linked even lean red meat, which is low in saturated fat, to heart problems. If you are absolutely wedded to red meat, my suggestion is to avoid any processed meats, and only eat 4-6 ounces at a meal once a month. And, to help buffer the acids when eating this meal, make sure to have at least half your plate filled with veggies and also eat a big salad on the side. Try and find a grass-fed organic source for your cow, pig and lamb too. Grain fed, antibiotic-laden animals are not as healthy. Drinking an 8-16 ounce glass of green veggie juice the day you have red meat would help to neutralize the harmful effects of red meat too.